This was the first major piece of legislation created by Congress in 1925 that would effect the aviation industry. In essence, this Act authorized the awarding of government mail contracts to private carries, established the rates for transporting mail and it set the airmail rates. Contracts were awarded through the United States Postal Service, and contracts were awarded through a bidding process. There were many flaws in this Act. APRIL 8--Almost two years after the special aviation uniform had been abolished, new uniforms of forestry green for winter and khaki for summer were authorized for Naval Aviators, Observers, and other officers on duty involving flying. Although there were minor modifications to the original design in later years, this uniform, in khaki, was adopted for the entire Navy in 1941. 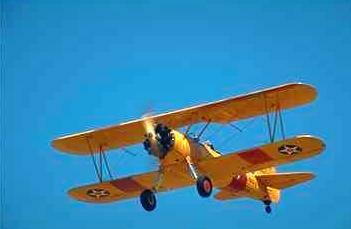 MAY 29--The standard color of naval aircraft was modified: hulls and floats of seaplanes were to be painted navy gray; wings, fuselages, landing gear, etc., aluminum color; and the top surface of upper wings, stabilizers and elevators, orange yellow. Dec. 17, 1925. Airpower pioneer Billy Mitchell is found guilty of violating the 96th Article of War conduct of a nature to bring discredit on the military service) and is sentenced to a five-year suspension of rank, pay and command. Already demoted from brigadier general, Colonel Mitchell decides instead to resign from the Army.